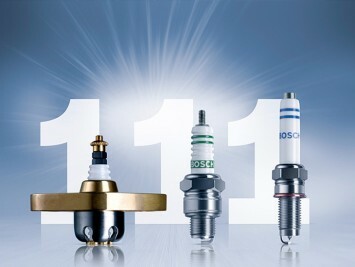 Spark Plugs from Bosch: Quality that Sets New Standards. Car manufacturers and drivers all agree, they all prefer spark plugs from Bosch. Top performance and outstanding reliability are the reasons for the popularity of these spark plugs. Not only that, but they are ideally matched to the requirements of specific engines and vehicle models. 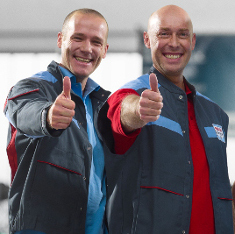 So you can be assured of finding just the right spark plugs for your car at Bosch Car Service workshops. Spark plugs are amongst the most important components in cars with gasoline engines. They are also crucial to optimum engine performance and reliable operation, as they ensure low-emission ignition and provide effective protection for the catalytic converter. This is particularly true in the case of modern engine management systems, where spark plugs and their specific design are constantly gaining in significance. The principle of the spark plug is both astonishingly simple and simply astonishing. A high-voltage pulse is routed through a conductor isolated from the engine to an electrode, from where a spark jumps to a ground electrode. The thermal energy of this spark then ignites the fuel/air mixture. The Bosch spark plug range is just as diverse as the applications involved. 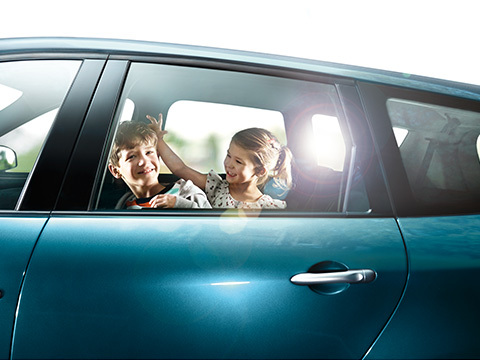 Bosch's spark plugs are perfectly designed to satisfy the requirements of each engine. 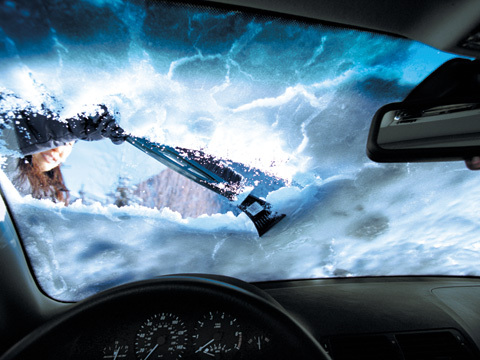 Not only excel on the road, their outstanding quality also makes them ideal for use in marine and industrial applications as well as for gardening implements. 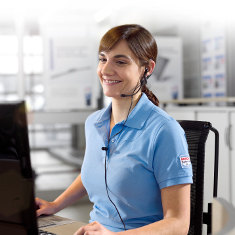 Wherever Bosch spark plugs are employed, their top quality and reliability always pay dividends and they are the key to achieving optimum performance and engine operation. 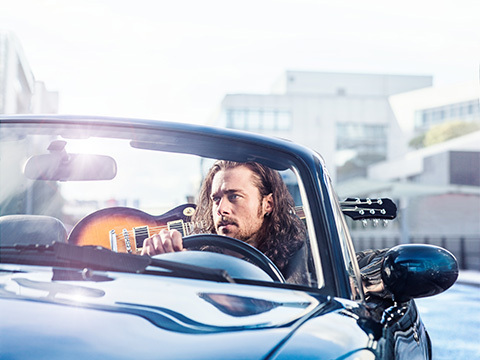 Valuable advantages for you, your car and the environment: Reduced fuel consumption, better performance and lower emission levels. 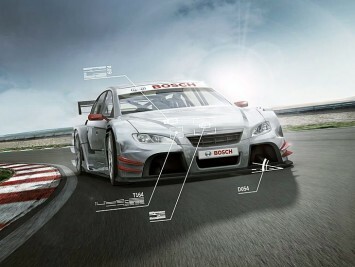 There is one particular component which really puts the power into international motor sport: The Bosch spark plug. Throughout the racing world, competitors pin their hopes on spark plugs from Bosch. Spark plugs made from high-grade materials such as yttrium, platinum and iridium were actually developed to meet the special demands of motor sport. But what is successful on the race track can also be put to good use on the road. In fact they are often perfected long before going into series production for workshops and the aftermarket. For more than a hundred years now, the Bosch invention has been keeping vehicles on the move. Going back to the January 7,1902, Bosch patented a high-voltage magneto in combination with a spark plug. For the first time it was then possible to guarantee reliable ignition of the fuel-air mixture in internal combustion engines. Bosch spark plugs made a major contribution to the breakthrough of the automobile. They also laid the foundation for the development of powerful, thrifty and environment-friendly engines. 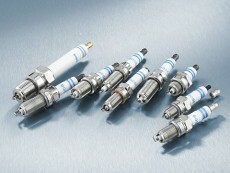 To this day, leading vehicle manufacturers continue to use Bosch spark plugs as original equipment. Bosch spark plugs are also found in marine engines, jet skis, gardening and forestry implements, large gas engines, water pumps and emergency generators.